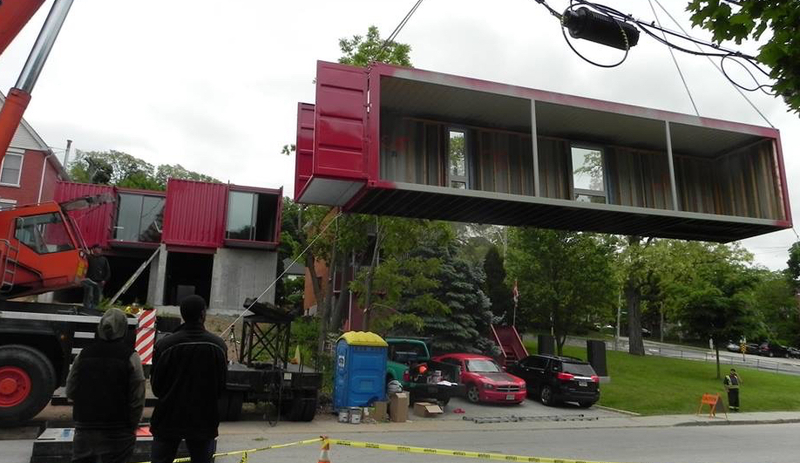 Toronto architecture firm Wonder Inc. created a Hamilton shipping-container home, the Ontario city’s first, from eight modular pieces. 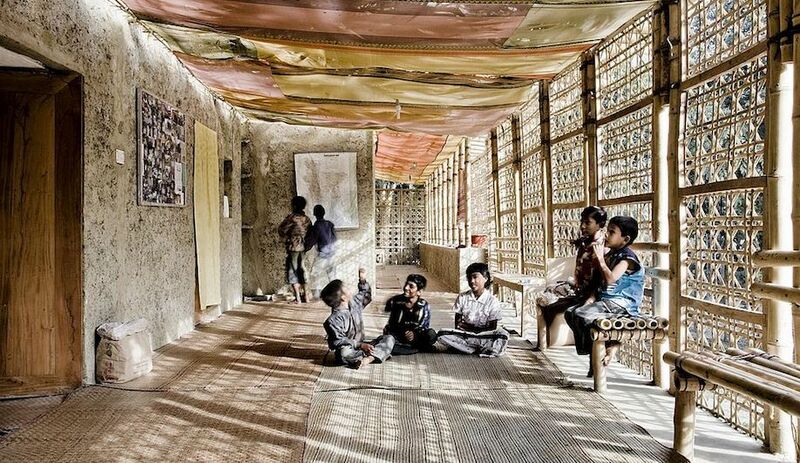 It’s designed as a single-family residence, but that family may include refugees, new Canadians and friends from afar. On Wonder Inc.‘s website, the first thing visitors encounter is a quote by Rem Koolhaas: “People can inhabit anything.” It’s a sentiment that the Toronto interdisciplinary studio, known for its explorative takes on modular housing, take dead seriously. 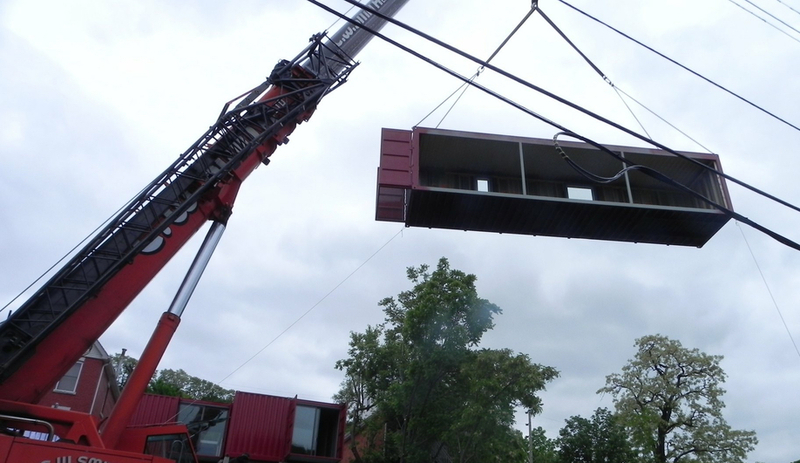 Led by Jason Halter, Wonder Inc. has experience designing container structures in China, the U.S. and Canada, which is why it was hand-selected to built Redhouse, the first container building dropped, installed and built in Hamilton, Ont. And it only took a single June day to erect. 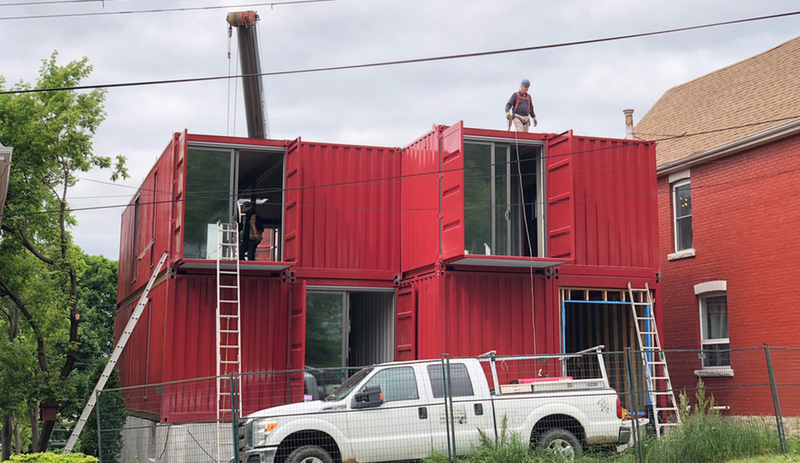 After securing a building permit on a double-wide lot – one that had sat vacant for 50 years – Wonder Inc. designed an eight-container, three-storey residence resting on a 1,280-square-foot concrete base. 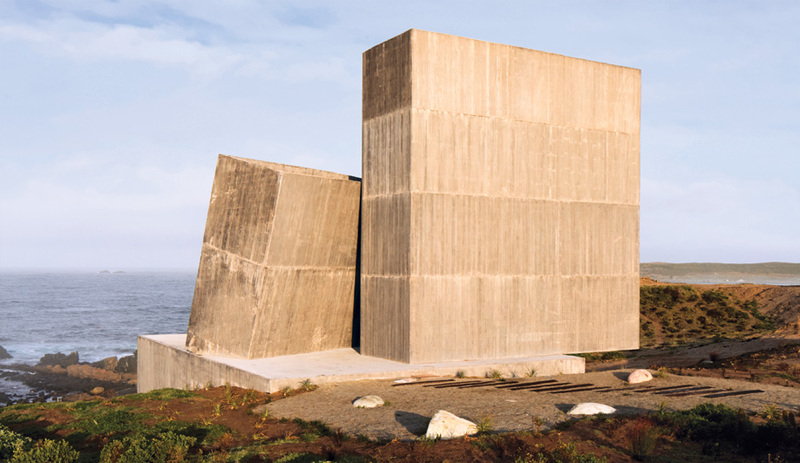 “Our task was to rationalize what [the client] wanted, to orient the containers in such a way as to give separation for the individual bedrooms and to provide a massing that would be simple, and to potentially fit into the neighbourhood some way,” says Halter. And it’s the firm’s biggest container build to date. 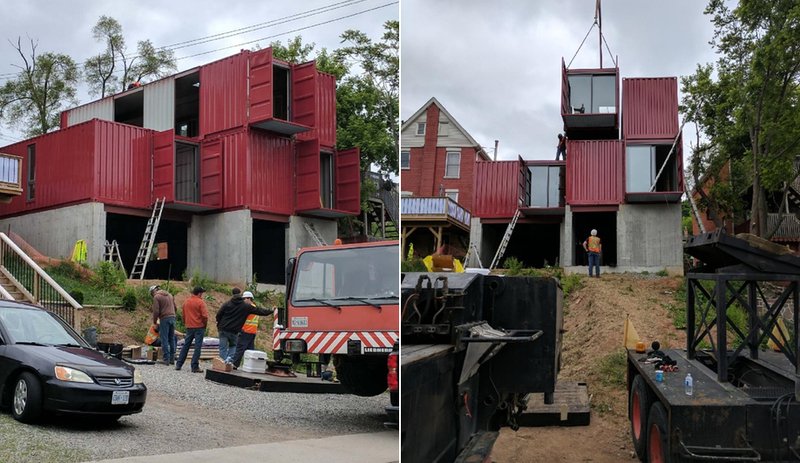 Consisting of an octet of 8-by-40-foot modified high-cube containers custom-fastened to a foundation, the building is painted in red polyurethane paint – a deliberate nod to the neighbourhood’s brick homes. Halter says the 2,560-square-foot structure will feature between four and six rooms; its ground floor will feature the kitchen – with an upcycled German system and refurbished radiators providing heat supplemented by a wood stove – as well as a living space, bathrooms, mechanical areas and storage, while the upper floor will house a master suite, additional bedrooms and a bathroom. Each bedroom features operable windows and balconies made from the shipping containers’ barn doors, fastened with steel grafting. 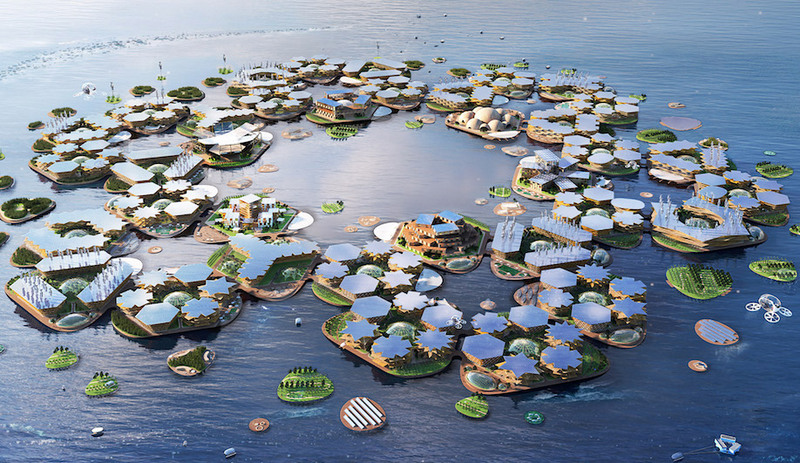 The roof will be topped with photovoltaic panels, and the excess energy they generate will be fed back to the grid. Wonder Inc. and its building partner, StorStac, opted for a single-day installation. 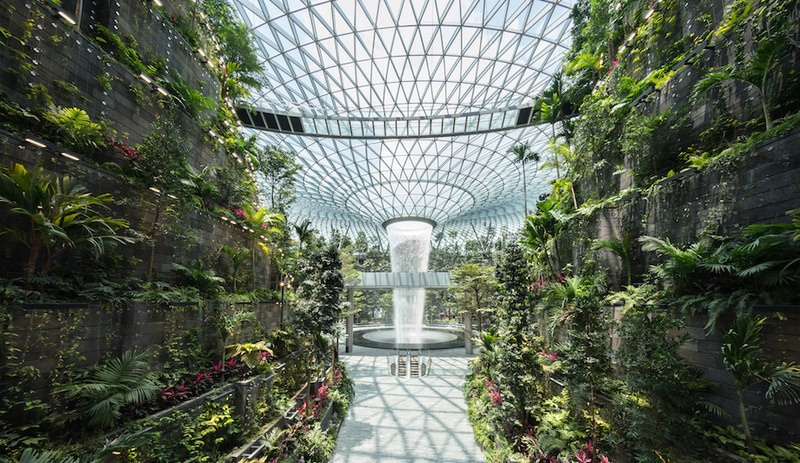 The measured steel work and levelling was prepared ahead of time, and after the units were delivered, a 200-tonne crane was used to stack the containers. Indeed, the building’s final incarnation is out of Wonder Inc.’s hands. But that’s the beauty of the shipping container: it’s a blank canvas. 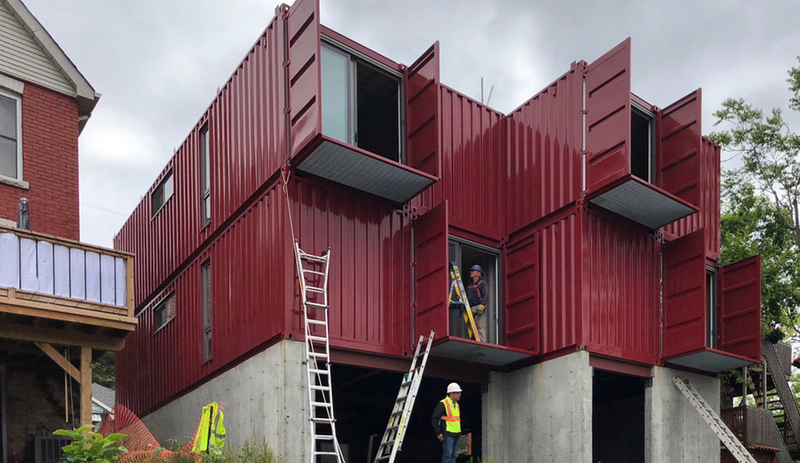 Since its proliferation in the mid-20th century, the shipping container been always held the imagination of experimental designers, and Halter – along with architects like Wes Jones – have built careers with them.